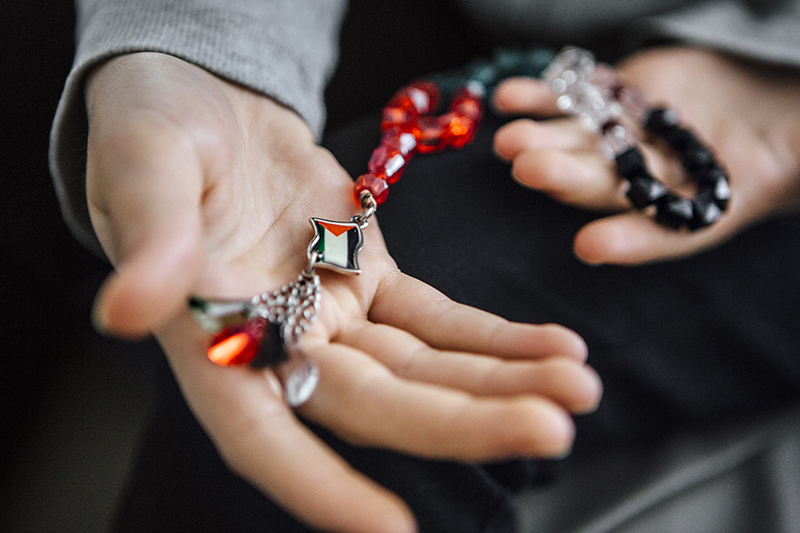 Aseel shows off a pendant in the colors of the Palestinian flag in her family’s new living room in a southern Berlin suburb. She dreams of a Palestinian homeland to return to, but pragmatically thinks that strife in the Middle East might continue for many years, so maybe becoming a nurse would be useful. But maybe she wants to become a TV announcer instead, like the one on her favorite Palestinian station. For now, there’ll be an internship as part of her spring semester, and she started volunteering at UNICEF.